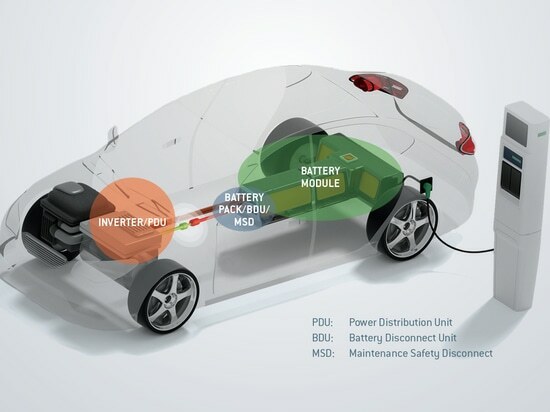 Saint Bonnet de Mure, APRIL 11, 2019 - Mersen (Euronext FR0000039620 – MRN) Global Electrical Power and Advanced Materials leader is pleased to announce the launch of a new Electrical Power website. 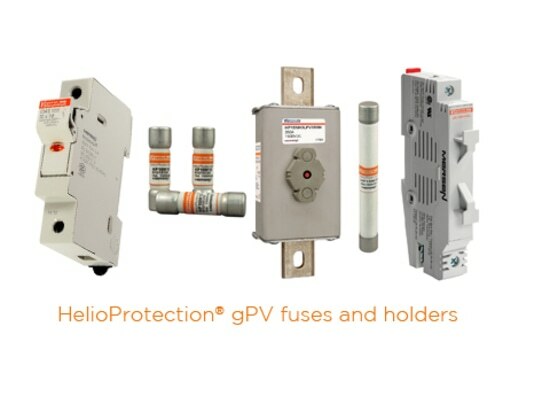 “The global website is an innovative and powerful tool that provides quick and easy access to our electrical power data,” said Charlie Raynes, VP Global Marcom. “And the new website highlights our commitment to having the customer at the center of every decision we make.” The site includes enhanced global product data, custom products and solutions, fast access to technical experts and enhanced market schematics that showcase our entire product line. Bold New Design: You’ll immediately notice the bold new design as you navigate through Mersen product, market, and application data. Based on customer interviews and feedback, the design makes it easy to find the information you need and sticky menus keep navigation information on the screen when you need it. Powerful new Product Finder and Search Functions: Find what you need fast! Searching for a Mersen product has never been easier with our new Product Finder, which lets you search by product number, product category, or by product specifications. Intuitive prompts guide you through the process. The Search tool is available on every page; simply type in a keyword, part number, or more to search for any material and the auto-complete feature will suggest the closest match. New Interactive Markets and Applications pages: Mersen’s Markets and Applications pages put Mersen expertise right at your fingertips. Over 35 markets are showcased with interactive application schematics. Simply click on the icon for recommendations and links to products to use for each application. A Newly Developed Custom Products and Solutions Section: Choose Mersen as your design partner. Mersen has a keen understanding of the unique challenges customers face globally. Our Custom Products and Solutions section makes it easy to access Mersen’s expertise and partner with Mersen from the start of the design process. More product information at a glance: Mersen’s product pages are designed to provide the information you need quickly. Featuring new, larger product photography, Key Features and Benefits, and specifications in a table format, the product information you need is at your fingertips. Click on an individual product number to drill down to additional product-specific information like size, weight and packaging. 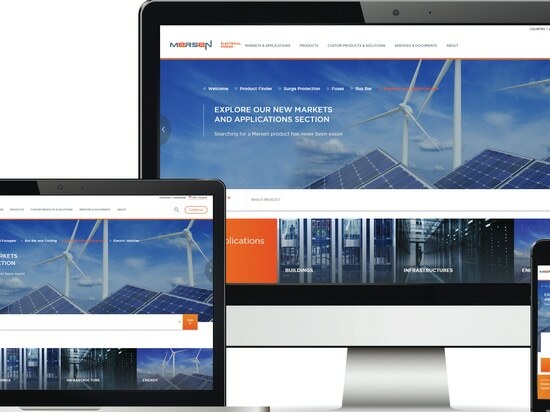 Optimal Viewing on Mobile Devices and Computers: Mersen’s Electrical Power website features responsive design, so the site is easily viewable on all of your devices. Whether you are accessing the site from a tablet, mobile phone, laptop, or desktop computer, the Mersen EP site will automatically resize content for optimized viewing on your device. 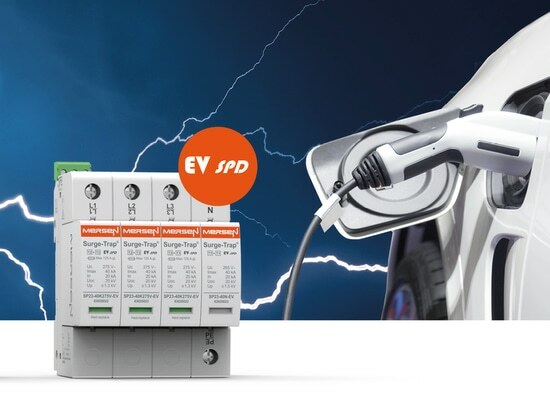 EV-SPD, the specific Mersen concept for protection of EVSE installations. 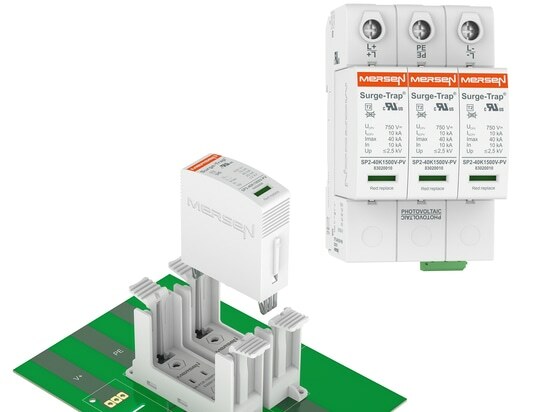 Mersen Electrical Power has it all for making photovoltaic systems safer and more reliable.